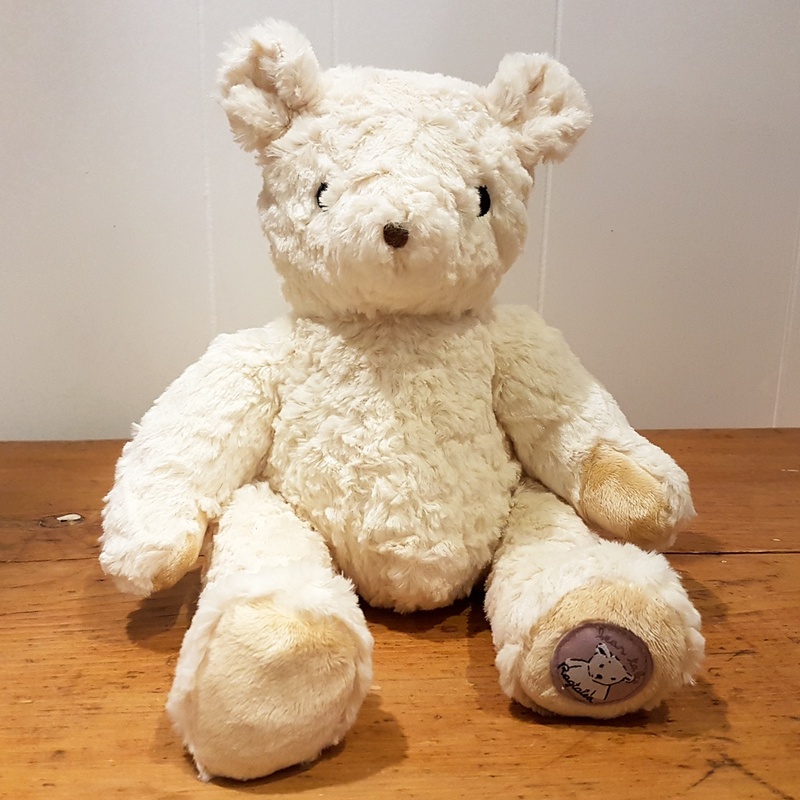 Darcy is a gorgeous traditional Teddy Bear who is finished in the softest white fur with an embroidered chocolate brown nose and eyes. Jointed on the legs and weighted, Darcy Bear is a cuddly and loveable companion who is ready to follow you from playtime to bedtime. Size: 42 cm tall. Suitable for birth onwards (as eyes and nose are embroidered) and is machine washable at 30 degrees.